The Queen of Soul brings her highness (if not The Hat) to Radio City this fall, and tickets go on sale Friday at 10AM. Tickets for Aretha Franklin's September 17 Radio City Music Hall show go on sale to the general public Friday at 10AM. 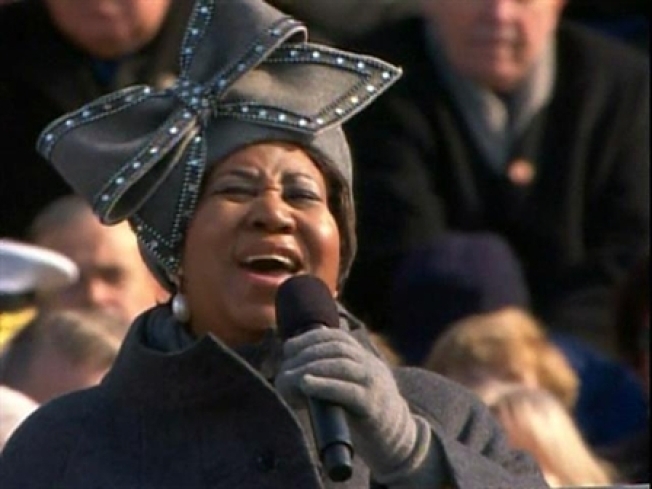 Aretha Franklin -- who turns 67 on March 25, and gets a birthday tribute concert (in absentia) from the Harlem Gospel Choir Sunday night -- has rested up nicely since her power-melisma performance at the presidential inauguration in January. When she hits Radio City on September 17, The Hat will already be off on display at the Smithsonian, but we'll take the Queen of Soul's luscious, booming vocals any way we can get them. Tickets for the Radio City concert go on sale Friday, March 20 at 10AM, right here. Meanwhile, you can always friend The Hat on Facebook.